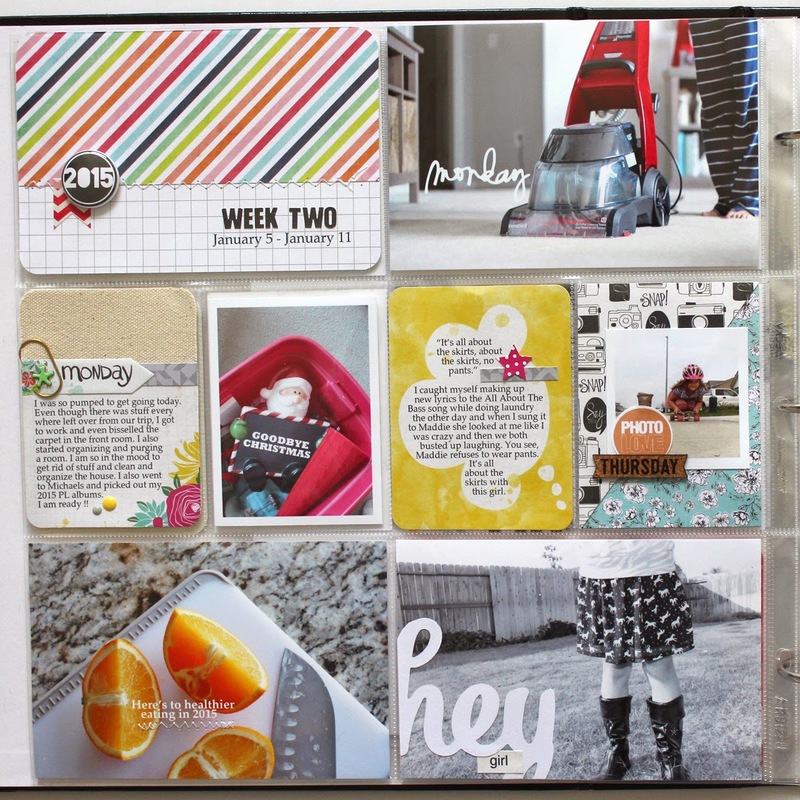 I'm checking in today with a fun and new PL spread using my first NoelMignon kit. 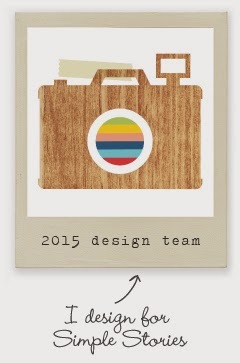 Do you remember me posting that I was asked to be on their Design Team. Well, I got to play around and create with my first kit !! It is called Hey Girl and I believe that there are a few still available. You can check it here. Along with all the details of the kit. I also shared a blog post over on their blog as well. You can find it here. Now lets get to the good stuff. My plan from here on out is to start my 2015 PL album while continuing to catch up on my 2014 album. With that in mind I give you week 2 of 2015. *I am still waiting for my SC kit to come so I can do the last week of December and week 1 of 2015. I'm getting a little worried that it got lost. I hope it comes soon. Lots of fun, everyday stuff and plenty of stories. Oh and our 13th Wedding Anniversary. Here is closer look of the first page. Here is my Week 2 title card. 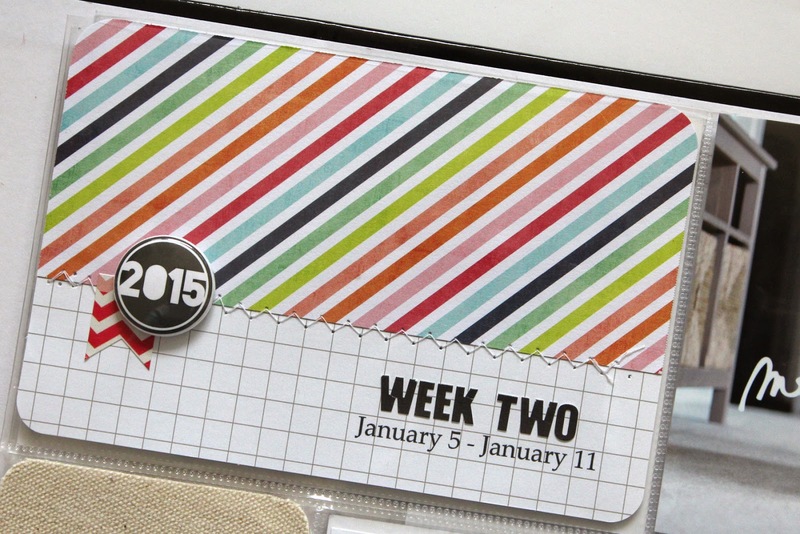 I started out with this colorful striped paper. Don't you just love this paper ?!!! I wanted it everywhere. It's from Heidi Swapp September Skies. 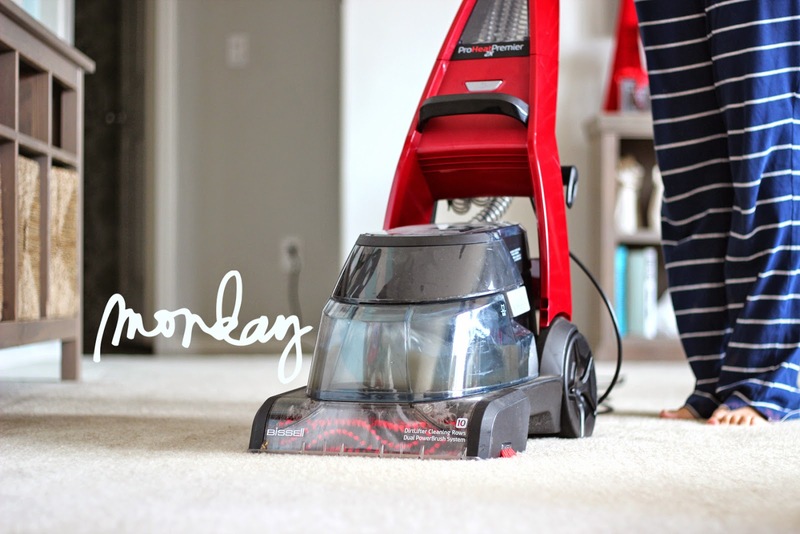 The Monday after I got back I had the clean/organize/purge bug REAL BAD. So I got to work and even did some carpet cleaning with my favorite partner in crime, my bissell. And yes, I was in my pajama pants. Cause that is how I roll when I clean. 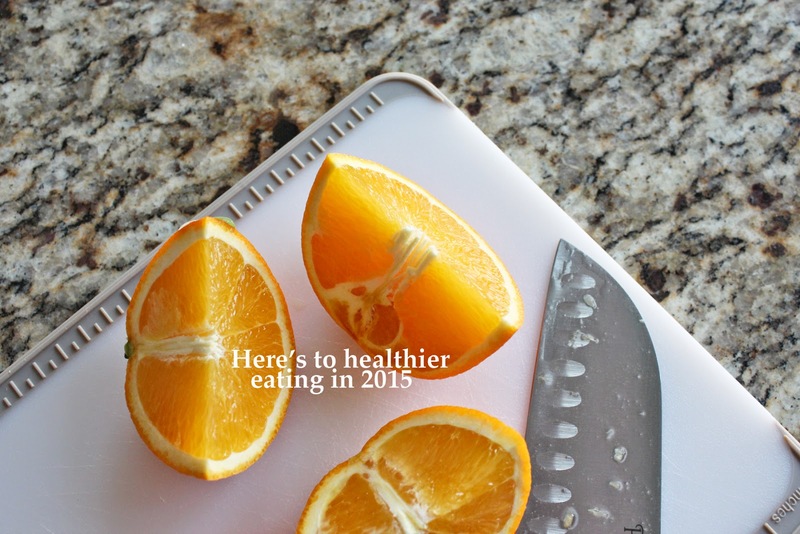 Trying to be healthier in 2015. We shall see if I can pull it off. 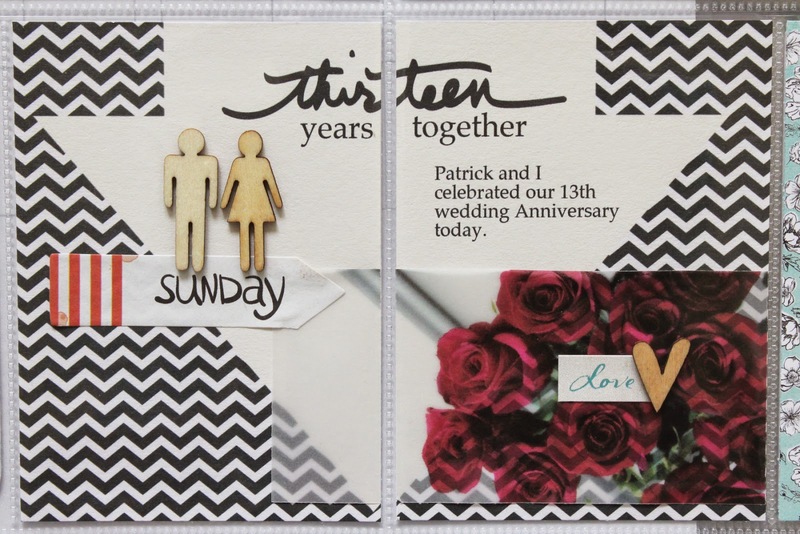 In the kit were these 3x3 square die cuts. I cut off the edges and then had this fun hey word left over. I added it to the corner of this photo. I wanted to tell a little story about Maddie and her wearing nothing but skirts. Yes, still. It's been so long that I don't even remember when it began. 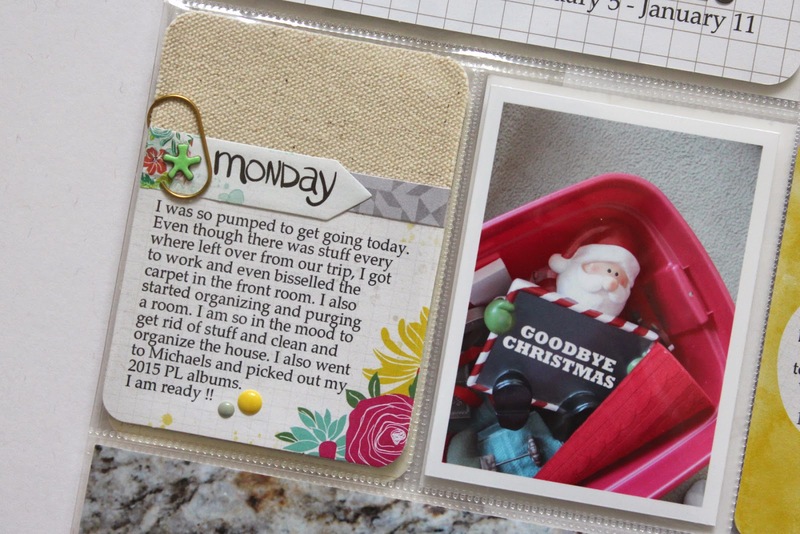 A journaling card and a photo about saying goodbye to Christmas. 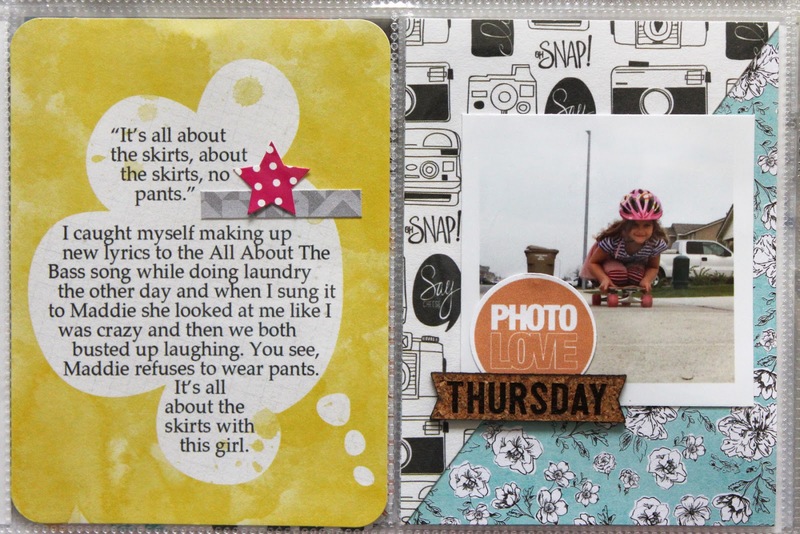 Another journaling card and a filler/photo card. Here is a closer look at the right side of the layout. 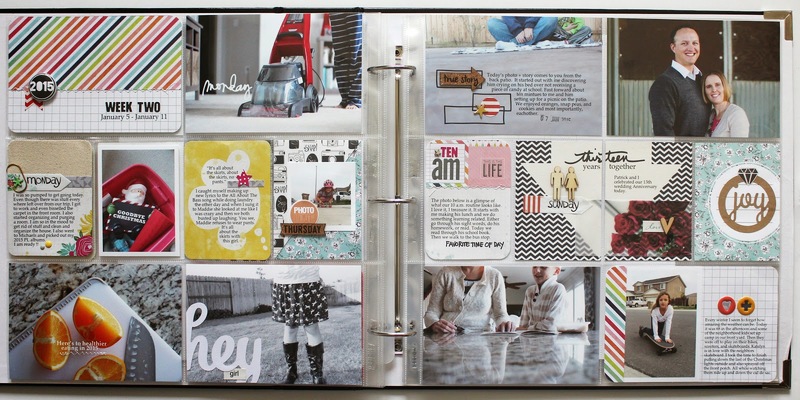 One of the things that I love to do, especially when I have a packed week, is to add journaling to my photo. That way I can get more "life" into my spread. 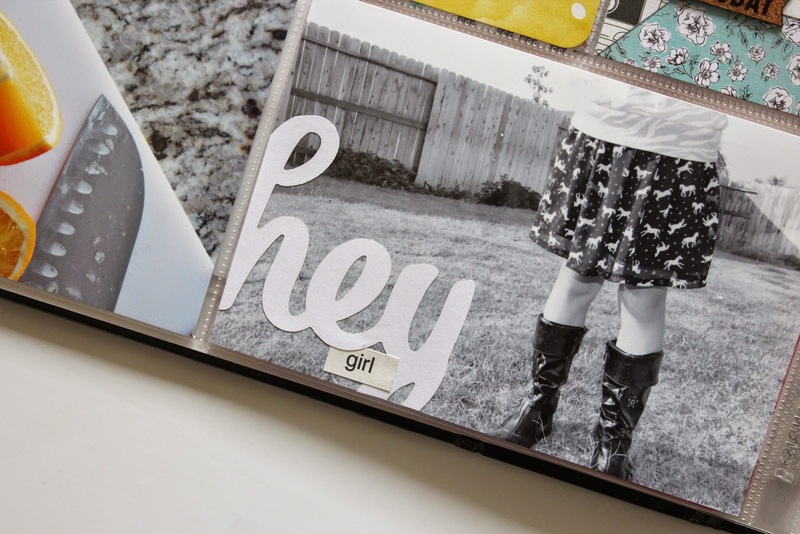 This photo was perfect to add my journaling to the bottom of it. 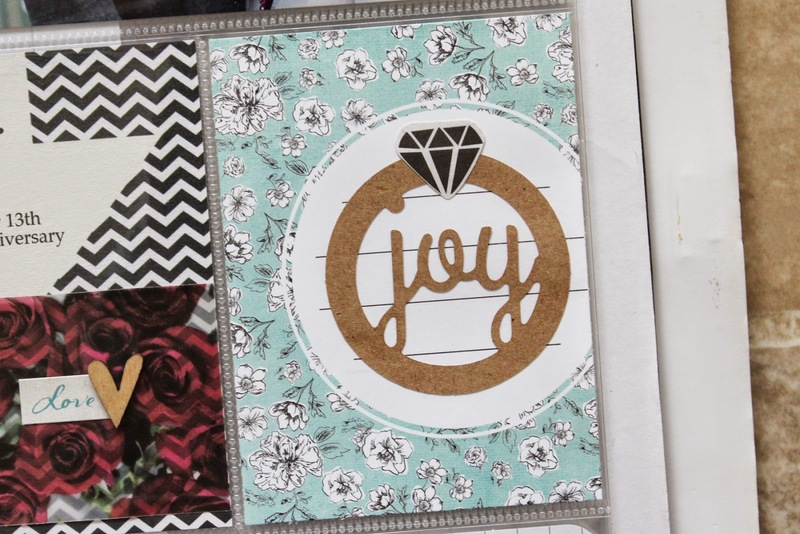 The little black boxes are perfect spots for some fun embellishments. This photo is what usually happens around 10 am at our place. It's just me and Noah at home right before we walk him to the bus stop for Kindergarten. Usually I make his lunch and we sit together and do some sort of learning. Today was reading his book that came home with him from school the day before. I love this time of the day. I truly love to document these types of stories. This is the stuff of life, the stuff I want to remember. 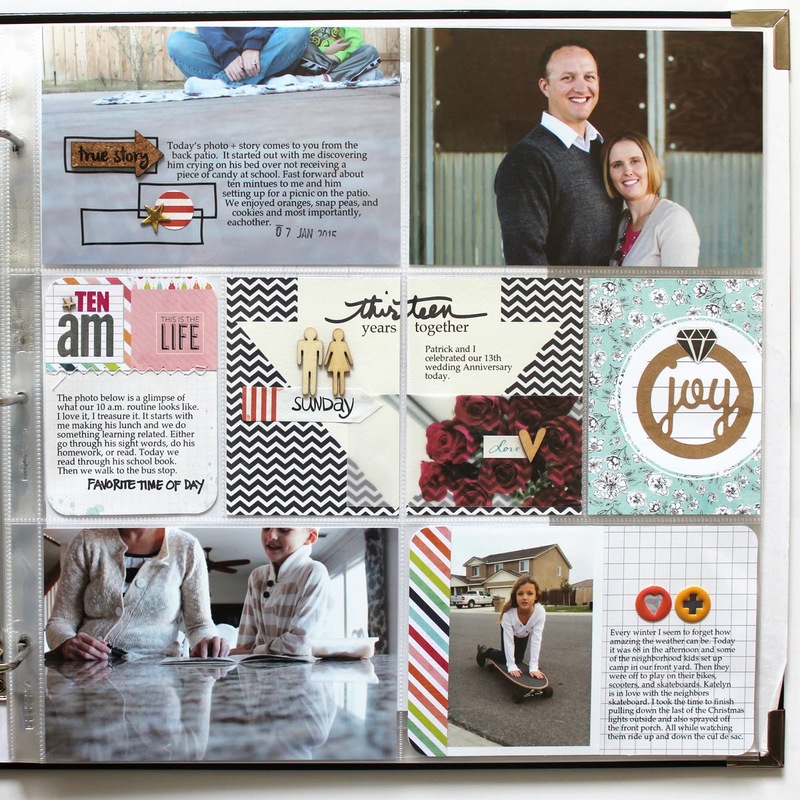 This is another example of using a photo and journaling in the same 4x6 slot. I added a photo that I had snapped with my phone and printed it out. 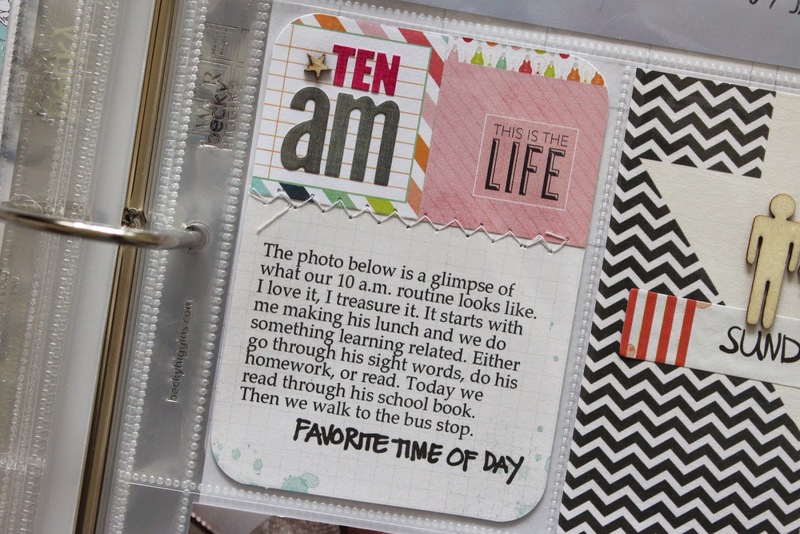 I then printed my journaling onto the card and added the photo. I added two puffy stickers to the top of my journaling, adding patterned paper behind them first. 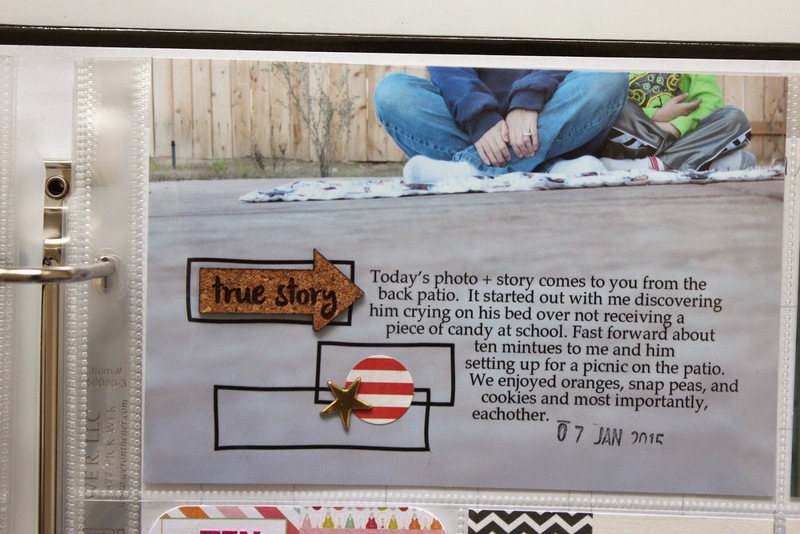 This was the journaling card that goes with the above photo of me and Noah. This card originally was a 4x6 size. I thought I would put it into 2 of the 3x4 slots and it worked out great. I spaced it all out and then printed out my journaling as a 4x6. Then I cut it up and slipped it into the page protector. I used the Sunday arrow sticker to show off my flower photo. I printed out a photo of my Anniversary flowers onto vellum for the see through effect and I loved the result. I added the small love sticker to my photo, which was the perfect touch. 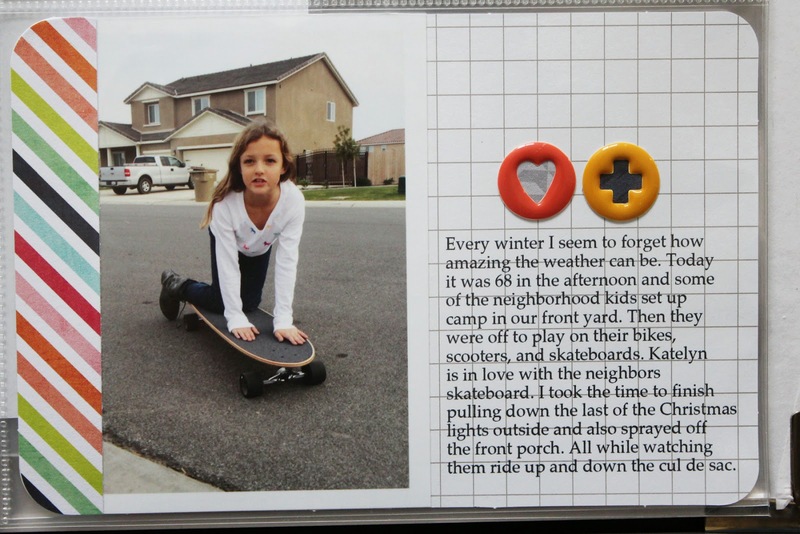 In the kit were these great kraft die cut circles. I adhered it to the blue flower journaling card and added the diamond to the top. It went along with my Anniversary story real well. That is all I have for you today everyone. Thanks for coming. I have been super, super busy working on this and that. I am having lots of fun and can't wait to share more with you as time goes on. Thanks for stopping by !! And for starting your link up. I linked up this week too. I've got some more great news !